Eat Drink Paint • Kim Rempel: Plein Air Painting Day. Eat, Drink and Paint! Hi everyone. 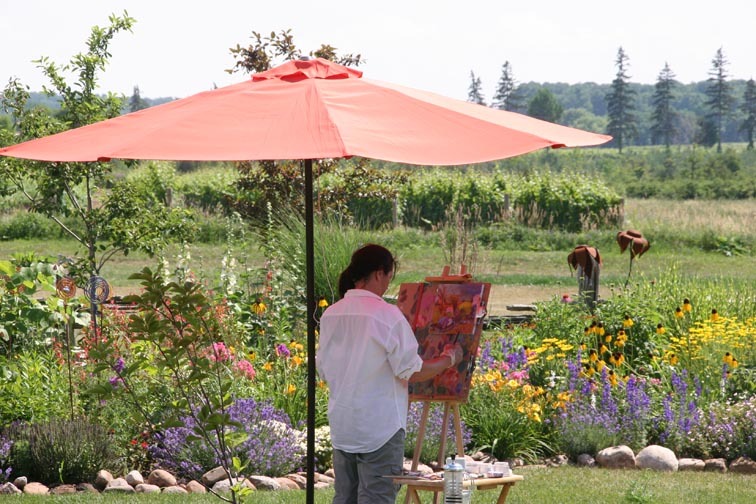 Just a note to let you know that NEXT Friday, August 9, is a plein air painting day at the fabulous Good Earth Food and Wine Co.
Join us for our third series of open air painting sessions with gardens, vineyards, orchards, farm life and interesting architecture as your backdrop. 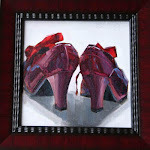 Featuring individual instruction and lots of time for painting, artists of all skill levels will relish this series. Cost is $90 including HST and gratuity. The day runs from 10-4. Please contact The Good Earth to register. wish i lived nearby, i would most certainly attend my friend!